Prince George, B.C. 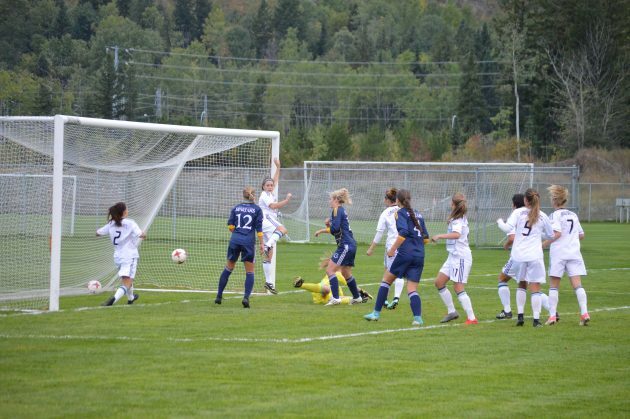 – The UNBC Timberwolves women’s soccer team came flying out of the gate with a pair of opening weekend victories but since then, they have dropped three straight Canada West matches. Heading into this weekend tied for third place in the Pacific Division the Timberwolves dropped a 3-0 loss to the Trinity Western Spartans at the NCSSL field Friday night. TWU scored once in the first half and twice in the final 20 minutes and keeper Christina Oliverio made three saves for the victory. UNBC’s Brooke Molby faced eight shots in the game, stopping five. The victory moves Trinity Western into sole possession of third in the West while the Timberwolves sit in fifth place with a 2-3-0 record. They will host Fraser Valley at noon on Sunday.